The price is affordable, making is solid and it can be cut firmly. I bought it together with something of another size. This review is about item#62837162. Drilling was done normally for the price. Cost performance is good. I'd like to purchase again. This review is about item#62837031. This review is about item#62837074. It gets off well. long lasting. easy to handle. If you know how to work with kanji because it is a one-body OEM and cost savings, it will have a reasonable price. This review is about item#62837241. 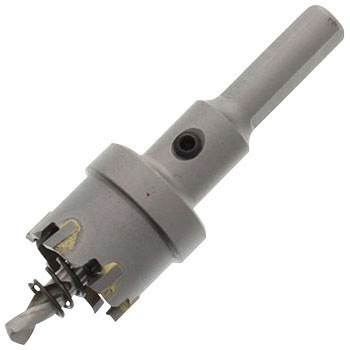 The shaft drill broke with the first use of this product. It is immediately after turning with the shaft hitting the hole. I do not even touch ultra steel chips on the iron plate I want to open. The item after exchange was exactly the same. Inevitably there is a need to drill a hole and if it tried to exchange it with the shaft of the other φ φ Holso, the shaft diameter could not fit perfectly and could not drill a hole. It is out of the question. I will not buy it again. I think that it is unchanged compared with Holso of other companies. This review is about item#62837205. I worked with cutting oil but I felt caught in the second drilling, the chip was chipped. I continued working afterwards, but I got all the chips with the 6th hole drilling. It does not become usable at all. Although the durability of the previous item was not good, it was better than this product. I'd like you to return to the previous item. This review is about item#62837153. It is an impression of using 14 mm. I thought the sharpness was good, it was an arrowhead, I made four places and one chip was broken by the foundation with the foundation. Is it because the wall thickness is thin? This review is about item#62837013. A hole beautifully opened in 3 mm aluminum shape. The cut was also beautiful, and Bali did not come out either. It was good that the price was also cheap. This review is about item#62837223. I am very satisfied that you can use drilling on the steel plate smoothly. At first I was planning a bamboo drill, but the price is too different so I made it to this hole saw. It was a correct answer for this hole saw. I am very satisfied. This review is about item#62837187. Although I used this product before, I changed it to another company's product because of inadequate mounting and chip life of the chip, but the other company's product returned to this for another price increase. However, there is no improvement and I am dissatisfied. I wonder if you can not use it by gaming. This review is about item#62837022. Unfortunately I am dissatisfied with this item. I felt that the sharpness was not so good as I tried to open 19 drills on steel sheet t 2.3. And when trying to open the seventh hole, the carbide chip jumps with sound as well as everything flying away. The board which was subjected to other processing was also deformed and it became a little expensive shopping. This review is about item#62837056. I do not know if it can be used for a long time because it is not used frequently, but it has not happened that something saying that the blade is lacking immediately. I think cost performance is good. This review is about item#62837047.